3 or 4 Mandarine oranges depending on how many you want to make. And a high quality Himalayan pink salt. 1. Peal and separate orange/slices. 2. Dry any wet spots with paper towel. 3. Place wax paper on cookie sheet. 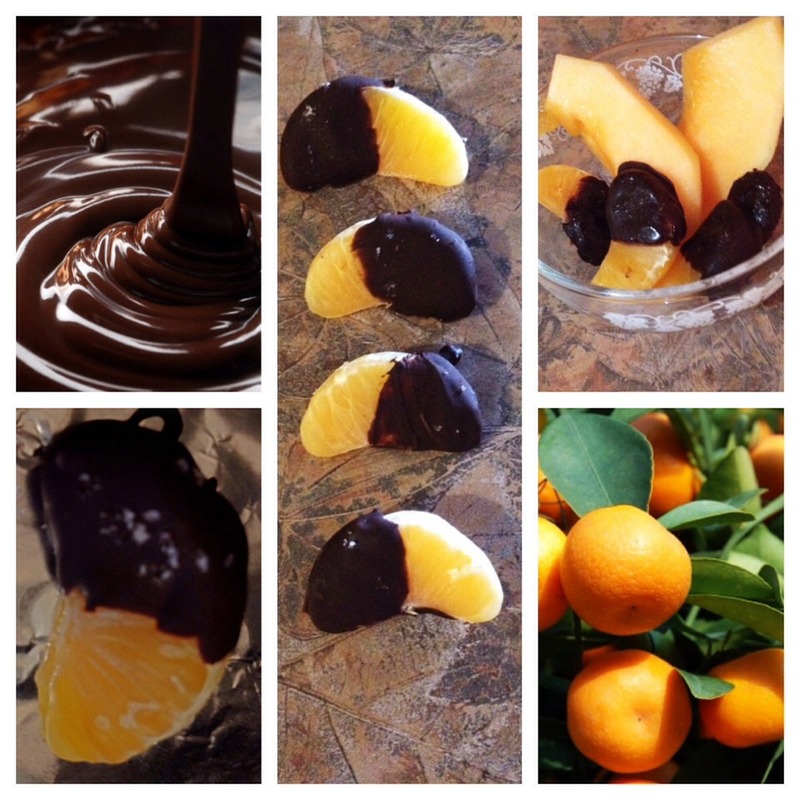 5 dip half orange slice in chocolate, place on wax paper. 6.once done put a tiny pinch of salt on chocolate end. 7. Place in freezer to set.